Share your form on Social Networks for more respondents. If you want bigger reach, you will probably want to share it on Social Networks. Post your form on most popular Social Networks like Facebook, Twitter, Google+ or LinkedIn, you can share it in your profile, page or group. 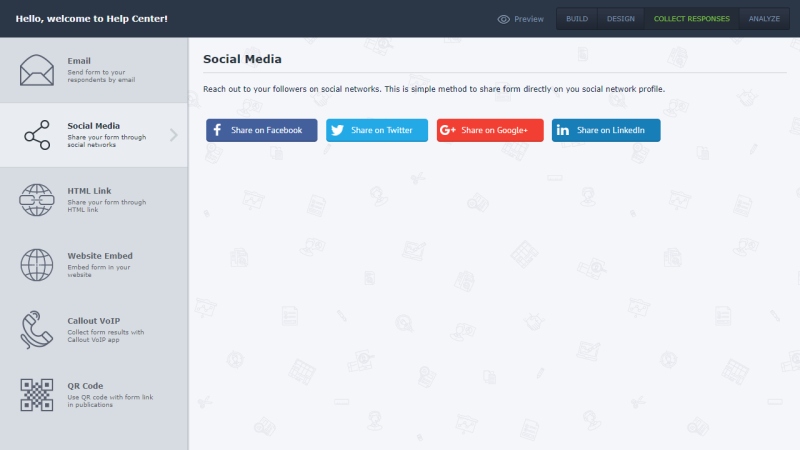 Sharing a form on social networks is easy, just one click away.